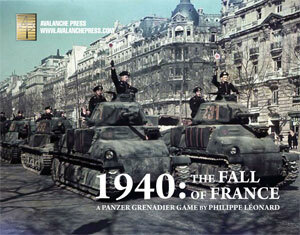 Within months of the 1940 fall of France, scholars were trying to find an explanation for the French Army’s rapid defeat. Marc Bloch, one of the field’s most influential thinkers, wrote his Strange Defeat in the months following the campaign. It was published in 1946, two years after he was tortured and murdered by the Germans. Bloch would be the first of many to consider the puzzling question: With the French holding such a militarily superior hand in terms of numbers and often quality of troops, guns, tanks and aircraft, how did the Germans manage to win such a quick and total victory in the late spring of 1940? Bloch saw the problem almost exclusively from a French perspective: France lost because of weakness in her culture, her politics and most of all in her complacent military establishment. A number of hypotheses have been advanced over the intervening decades, blaming Communists and Socialists for undermining French national will, looking at the decadence of French culture, the lack of a modern French doctrine for the use of armor or the presence of a German one. Greater German firepower has been cited as well – thanks to the destruction of most of the old Imperial Army’s field artillery after the Great War, German divisions marched into battle backed by fairly new 105mm howitzers while the French still fielded the venerable 75mm soizante-quinze. My friend Jenny Kiesling, in her book Arming Against Hitler, argues that the French pretty much did all that they could be expected to do to prepare for war, given what they knew at the time. She makes a strong case, as most critiques of the French military of 1940 rely on hindsight. French leaders could not have foreseen a number of factors, including the German willingness to send their troops into battle geeked up on crystal meth. Akira Ogawa, a Japanese chemist, synthesized a crystallized form of methamphetamine in 1919, reducing ephedrine using iodine and red phosphorus – more or less the same process used in my neighborhood today. 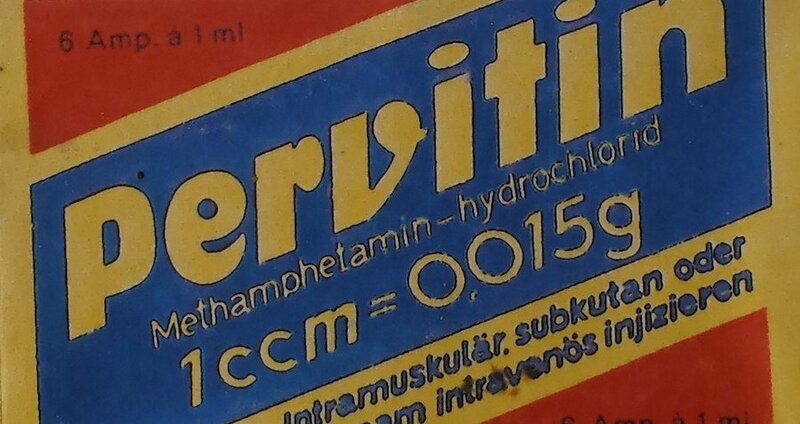 In 1938 a Berlin pharmaceutical firm, Temmler Werke, synthesized a form of methamphetamine the firm marketed under the trade name Pervitin. Pervitin came in chocolate-flavored tablets, and instantly became a runaway hit on the German market. 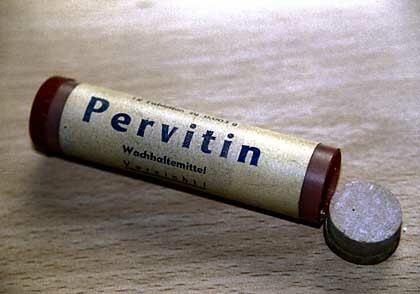 The next year, Otto Ranke, a doctor at the Academy of Military Medicine, began testing Pervitin’s suitability for military use. Ranke gave the drug to 90 university students and recorded good effects; the drug gave the subjects greatly increased alertness, aggression, self-confidence and focus while cutting back on their need for food, drink and sleep. In short, it promised enormous benefits for soldiers but Ranke was still not convinced. During the invasion of Poland distribution was limited to Army truck drivers, who performed well under the influence. Based on the results seen in the Polish campaign, the Army ordered full production, taking delivery of somewhere between 35 and 40 million tablets between April and June 1940. Tank crews and pilots had priority for the drug, and tweaked their way through the French in record time. The drug did everything Ranke’s tests had promised, and more. German soldiers out-fought and out-marched their enemies, using Pervitin to boost confidence, aggression and most of all to drive away the need for sleep. German tankers gobbled their “panzer chocolate” and roared across France with scarcely a pause for rest. One tablet gave the same effect as liters of coffee, wrote the young soldier Heinrich Böll, later to become Germany’s first winner of the Nobel Prize for Literature. While the Germans saw a marked improvement in performance that led directly to their victory over the French, they also logged a shocking number of side effects. Young, seemingly healthy soldiers dropped dead of heart failure. Others experienced psychotic episodes and committed suicide. Many of those who did not die or take their own lives experienced hallucinations, massive sweating, circulation disorders, dizziness and depression. Hitler preferred the injected form. Finnish soldiers got their sisu in tablet form as well. The Finnish army issued Pervitin to its soldiers in massive doses – a thought that puts some of the tales of epic Finnish fighting spirit in a different light. In Japan, Dainippon Pharmaceuticals manufactured huge amounts of crystal meth under the trade name Philopon, and the armed forces issued it to both fighting troops and industrial workers. Kamikaze pilots in particular were encouraged to make use of the drug. Huge stocks of Philopon fell into American hands at the end of the war, to be sold off and form the root of a major post-war epidemic on both sides of the Pacific. Marc Bloch blamed French decadence; Ernest May credited imaginative German planning. Both overlooked the German secret weapon of 1940. Sign up for our newsletter right here. Your info will never be sold or transferred; we'll just use it to update you on new games and new offers. Mike Bennighof is president of Avalanche Press and holds a doctorate in history from Emory University. A Fulbright Scholar and award-winning journalist, he has published over 100 books, games and articles on historical subjects. He lives in Birmingham, Alabama with his wife, three children and his walk-crazed dog, Leopold.